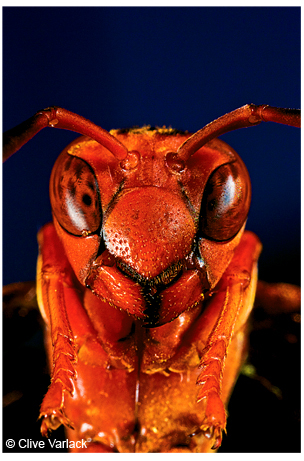 Paper wasp worker, (Polistes apachus). While more people-tolerant than yellow jackets and hornets, these wasps will not hesitate to strike. 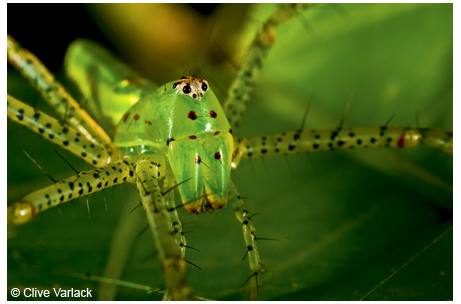 Green lynx spiders (Peucetia viridans) have been observed on the same leaf for three days, waiting for prey. 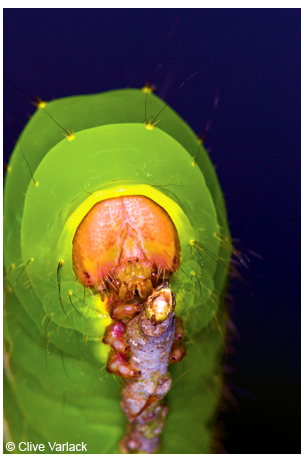 A polyphemus moth catepillar (Antheraea polyphemus) rests between feedings. 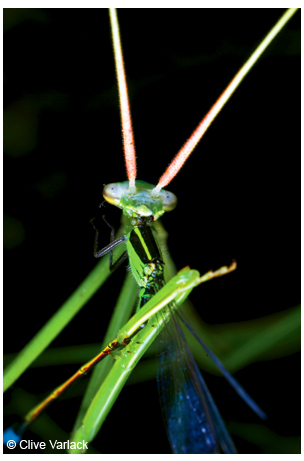 A praying mantis (Mantis religiosa) consuming a freshly caught damselfly. 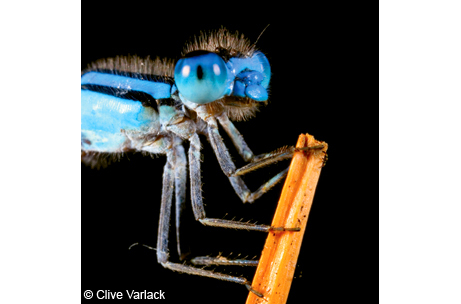 A doubleday bluet (Enallagma doubleday) waits on a grass stalk for an unsuspecting flying insect to come close before pouncing on them. 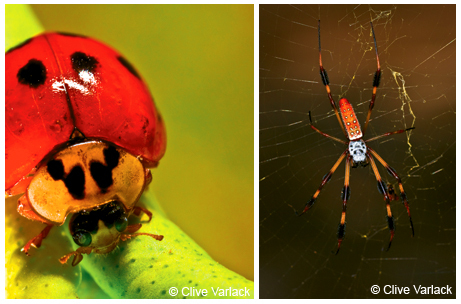 Left figure-Nine-spotted ladybug beetle (Coccinella novemnotata), the beautiful and beneficial aphid-destroying bug; Right figure-a golden silk spider (Nephila clavipes), the worlds richest insect, lives on a golden web. 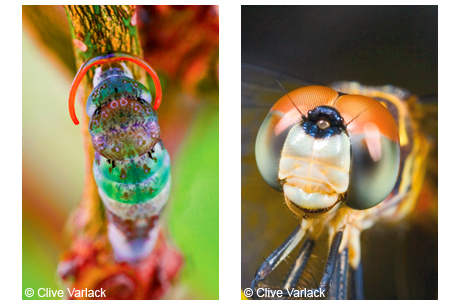 Left figure-Giant swallowtail butterfly butterfly caterpillar (Papilio cresphontes), with defensive osmeterium fully extended; Right figure-the rusty skimmer dragonfly face (Paltothemis lineatipes), displays mesmerizing behavioral antics.